At Veracity, stand B15, you can experience a hands-on demonstration of VIEWSCAPE™, the open and integrated Command and Control solution. Used widely in city centres and critical infrastructure projects, VIEWSCAPE™ gives Security Directors flexible control over complex surveillance and security functions. With over 100 technology integrations and a compelling price point this is a ‘must see’ solution. The COLDSTORE™ family is also on display at Farnborough. Veracity recently launched the 45-bay COLDSTORE Colossus, capable of storing 630Tb while using less than 80W of energy. The COLDSTORE range benefits from a patented solution for the capture and long retention of video. Benefits include 10x increase in disk life and reduced heat and power, delivering performance improvements and a total cost of ownership not available elsewhere. 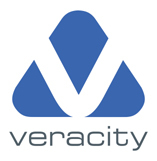 Meet the experts and learn about Veracity solutions on Stand B15.